Why Look For Coffee Tables With Ottomans That Pull Out? Interior Design Ideas For Your Home Living Room Furniture Why Look For Coffee Tables With Ottomans That Pull Out? Sometimes, it is the small things that make a living room unique. Coffee tables with ottomans that pull out can be one of those things. They come in the variety of designs and sizes, yet there is one thing all of these sets have in common – all of them offer a space efficient and stylish solution to living room decoration – no matter what interior you have in mind, or which particular model you are looking for. Wooden table with cushioned ottomans – such an arrangement will be a perfect for traditional interiors, featuring a lot of wooden furniture items. The designs are plenty, so you will be able to choose wood shade and type that would fit into your interior. The colour and the material of cushions can also be adjusted to your interior requirements. Glass table with leather ottomans – this is a more stylish and less traditional solution. However, it still has the classic look and feel, which means that a set like this can be integrated practically into any interior. Glass is a very neutral material that can be combined with anything; so is the leather. The only thing you will have to take care of is to find the colour that would blend in with your main interior theme. Rustic table with wooden ottomans – is a less common but equally stylish solution. Rustic set will look amazing in a spacious living room, decorated in a down to earth style. This is a relatively unusual approach to interior decoration, so if you are looking for something that will make your interior memorable and unique, you should definitely consider this option. Space efficiency – one of the primary reasons to choose coffee tables with ottomans that pull out is their space efficiency. Simply put your seats under the table when you are not using them to get rid of the cluster and open up more room space for yourself. Combination of classic and contemporary design elements – most of such sets are based on the combination of classic design and modern materials, which is why they offer one of the best approaches to interior decoration. Interior friendliness – the combination of modern and contemporary elements makes most of such sets an amazing fit for the widest range interiors – classic, modern and even mixed ones. The latter ones will particularly benefit from the arrangement. 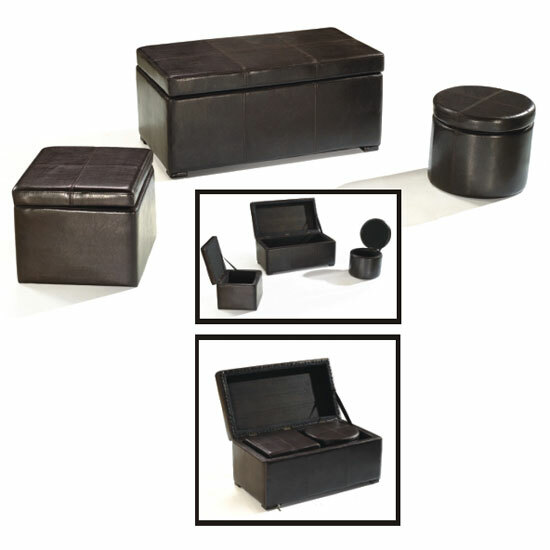 Coffee tables with ottomans that pull out can be found almost in any UK furniture store. However, if you are looking for a combination of high quality, vast choice, and affordable price, you should better search for furniture in big retail chains . Apart from already reasonable pricing policy, big stores regularly offer clearances and sales, which allows you to purchase finest quality furniture at a reduced price. And, of course the selection is normally bigger – sale or no sale.